Bubble Wrap Popper | Kohsuke's Lab. Do you like popping the bubble wrap? Sorry, This machine robs your pleasure! This is the “Bubble Wrap Popper”. One time, I was drunk and talking with my friends. We talked about “What’s a meaningless thing?”. I thought its meaningless and fun to pop the bubble wrap. 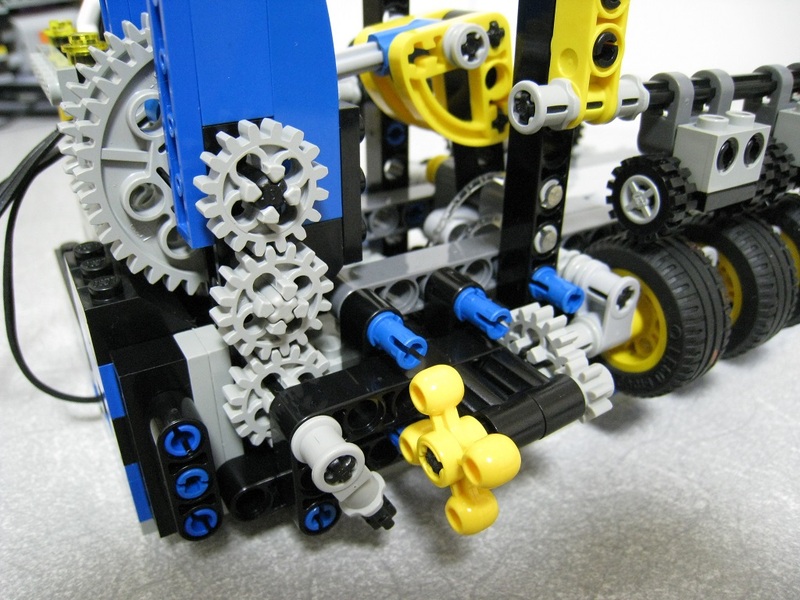 So, I thought of making a auto machine for popping the bubble wrap with LEGO. This machine is very expensive! In Japan, usually LEGO only sells full “kits”. In order to get a block that I need, I must buy a kit, but I never build the kit. I want only one part! This machine is using one motor which supplies electricity from an USB. 2 actions are running by that motor, slide a bubble wrap sheet and pop the bubble. It was very complicated but it was convenient to synchronize the 2 actions. Of course, I requested a operator for operation of this machine. And warning lights like a factory. This movie’s background music is “Marche” from The Nutcracker. 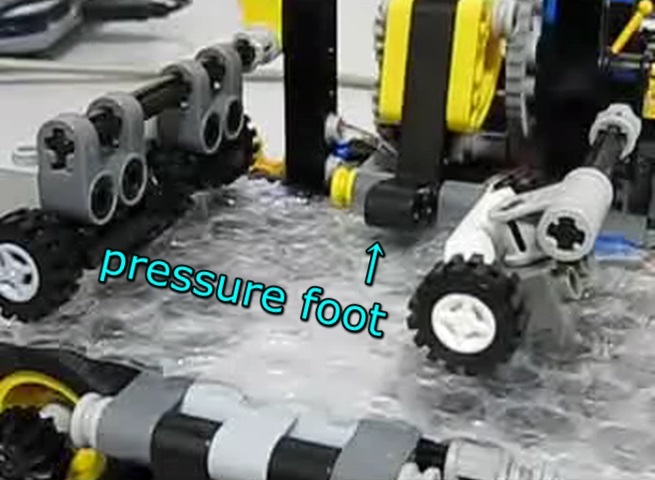 The bubble is not always sliding to center of pressure foot (bubble press parts). When the bubble wrap was sliding to center of pressure foot, it will be crushed precisely. But when the bubble wrap was sliding to non-center of pressure foot, it will not be crushed. The problem cause is difference between distance of bubbles and sliding width. Then the pressure foot will be not hit a center of bubble wrap, gradually. However I settled this problem! I will explain that machine in the next article! Previous PostThe paint mixerNext Post[INFO] Site renewal! Your article was exenellct and erudite.